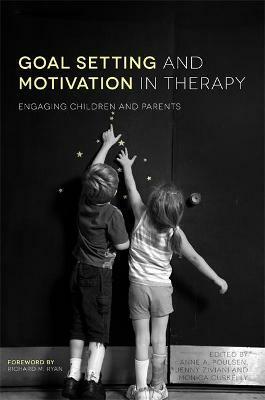 Drawing together motivational theory, research-based evidence and guidance for best practice, this book presents innovative models for goal-setting and goal pursuit in therapy with children. Setting goals not only allows children, and their families, to engage with the overall therapeutic process, but it also provides an essential motivational element throughout the entire therapeutic process. The editors and contributors give practical advice on empathically collaborating with the child and his or her family, to clearly identify achievable goals that can be wholeheartedly pursued. Key information on Self-Determination Theory (SDT) is accessibly explained, which will aid professional understanding of the relationship between motivation, goal-setting, and strong therapeutic practice. The approaches in this book can be used by a wide range of professionals, including those who specialise in working with children with physical disabilities, learning disabilities, and emotional and behavioural difficulties. The combination of theory, research and practical advice makes this book an essential resource for professionals working therapeutically with children, including occupational therapists, speech and language therapists, physiotherapists, counsellors, psychologists, social workers, arts therapists and psychotherapists.